"The Family of Man", a photography exhibition curated by Edward Steichen, opened at the Museum of Modern Art in 1955. 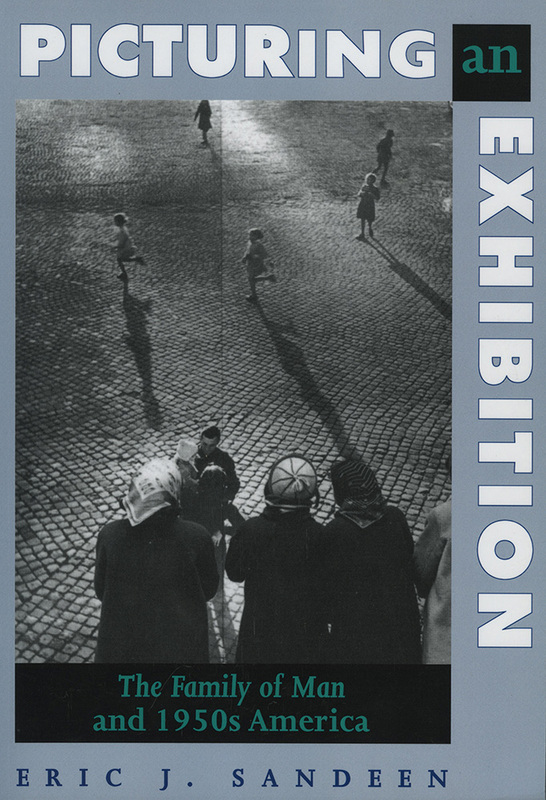 More people saw that exhibit than any other show of photographs, and the book of the same title remains in print to this day. Despite the enormous success of this assemblage of photographs, surprisingly little critical attention has been paid to The Family of Man as a phenomenon. Eric Sandeen presents here the first in-depth study of the exhibit and its influence worldwide. He examines how the exhibit came to be assembled, the beliefs and background Edward Steichen brought to the project, and what he wanted to show about the human condition from his selection of images. He then looks at the politics and culture of the 1950s to determine why the show was so popular at the time. When the United States Information Agency toured the photographs throughout the world in five different versions for seven years, The Family of Man became a symbol for and projection of American values and the culture of abundance. The richness and historical complexity of this exhibit have been overlooked, especially in the post-Vietnam decades, as critics have been quick to dismiss it as sentimental. Sandeen shows the exhibit to be a great deal more than a compendium of beautiful but unchallenging photographs. He also unfolds its multilayered relationship with and reflection of the values of postwar America.